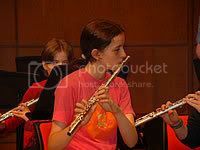 Me about 4 years ago with my 8 year-old Jupiter flute, Jason. He's awesome and has done me well in my exams. I'll never replace him! Here's my very basic kit, packed up and ready to be transported! Edit: I actually only use one rack tom, but sometimes I switch between the smaller and bigger rack tom (Don't know the inches >.<) for different sounds. Cool. Good pics people. Dierdre...Jason looks cool, Who'd have thought of naming a flute Jason!!! haha! Good one. And 'Bonham', good that you are transporting 'em. Hopefully to a loud environment. My brother just spent about £300 for all the cases for his ten piece kit. He got them cheaper than normal because he buys so regularly from this shop. They are so nice. My one and only guitar, but it's all I'll ever need (at least for now). Jason rocks! You know, one day last year I thought " I need to name my flute " and the name Jason just popped into my head! And since it's been named it's played better than any other time. Variax - guitar? What do you think about it. Do you like it? Is it good? Is it worth the money? etcetcetc? Cool finish man. 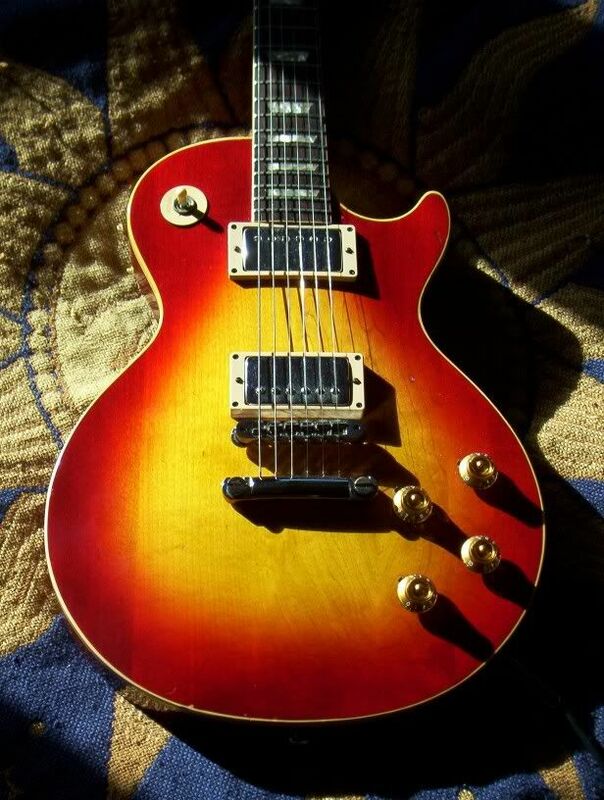 Some nice Les Paul there! 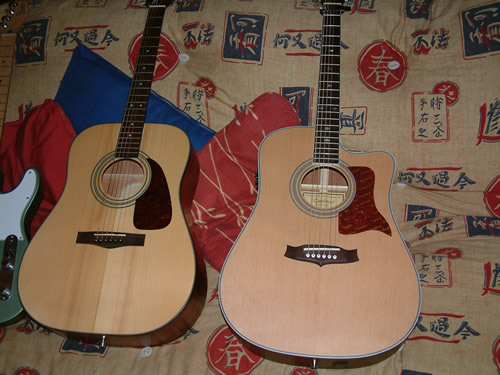 And no, sorry but i can't post my guitars. I own no camera. 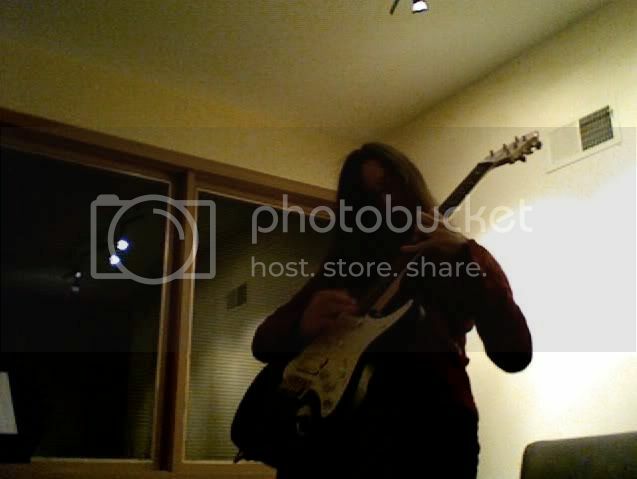 All i have is a Columbus' Les Paul and an Hasgtröm jazzguitar. Haha, no worries, I don't know a thing about violins either, except how to play them, of course! I'm getting my old viola back! My mom is going to bring it over! I "gave it up" when my little sister started playing. I had not played formally in a while, so I let my sister "borrow" it. My mom asked me if I wanted it back, and I said "YES!" Sam--now I can start practicing again, just lik we talked about. That's awesome, Mandy! You're gonna be glad you did, I know it. You can play along to Kasmir. I'm excited! When I hear music that I know, I can remember the notes and how to play them like I have been rehearsing it all my life. I know that when I actually get the bow out, it doesn't sound good--not good at all, but I will soon have time to practice it! I haven't touched my guitar since this summer. Maybe over break I'll pull it out again. It's going to be so out of tune. this picture is old. I did put my Strat in the pic of my MXR Phase 90 or my Dunlop Crybaby Wah. My brass slide isnt there either. 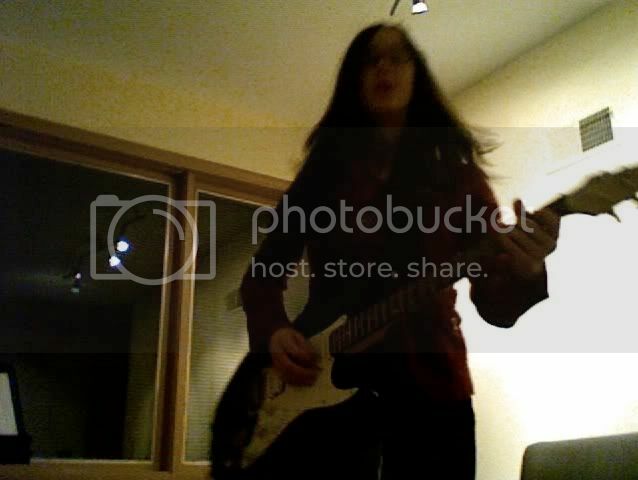 but you can see my Les Pauls, Marshall, my Crate and my Violin bow. i will have to take and up-to-date picture soon. The "Marshall" on my speaker was taken off too. ^^^^ good picture matey!! Well done! is that a genuine Gibson or is it a Vintage copy or what? Looks nice. I will try & post some photos of my blues harps. I have 13 in total & i start lessons next Febuary. And if you have heard me whalin on the thing you'll agree i need it. Me playing with me waashboard. Me thrashing about on a snare. I'll find some net photos of my gear. 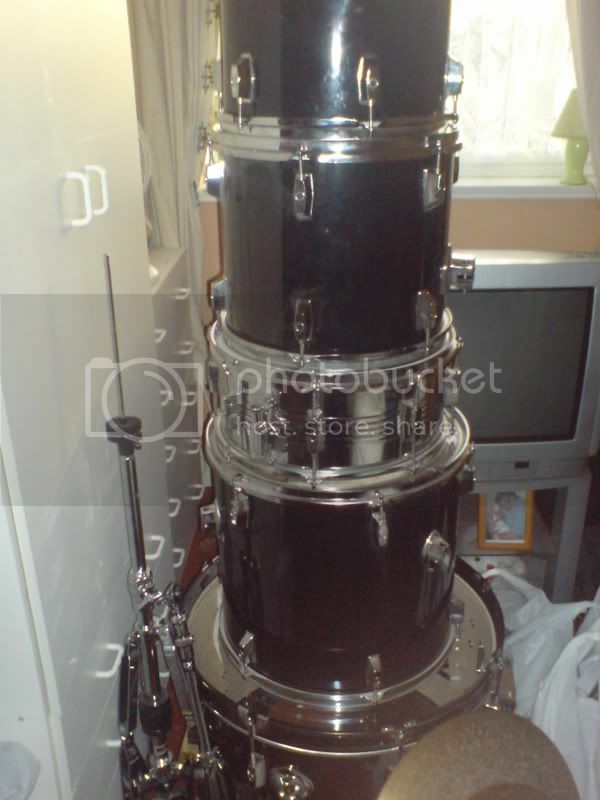 I'm not about to set up a drum set in the house just to photograph it. on the floor im currently rocking a Boss TU2 - morely mark tremonti sig wah - TS-9 reissue - custom shop Phase 90 (script logo) - Boss BD-2 - Boss DD-3 - and a dan electro octave pedal a friend gave me. crappy cell phone pic. back row: taylor 714ce, danelectro reissue (2007), baby taylor (koa back & sides), danelectro (year unknown), taylor 615. front row: MIM fender jazz bass, frankenstein tele (MIM body, replacement bridge PU, allparts replacement neck), les paul standard (2007), gibson eds-1275, les paul studio (2006), fender '62 reissue, a cheap acoustic bass (with a large hole created by an exgalfriend). What is that?! Guitar Hero!? !